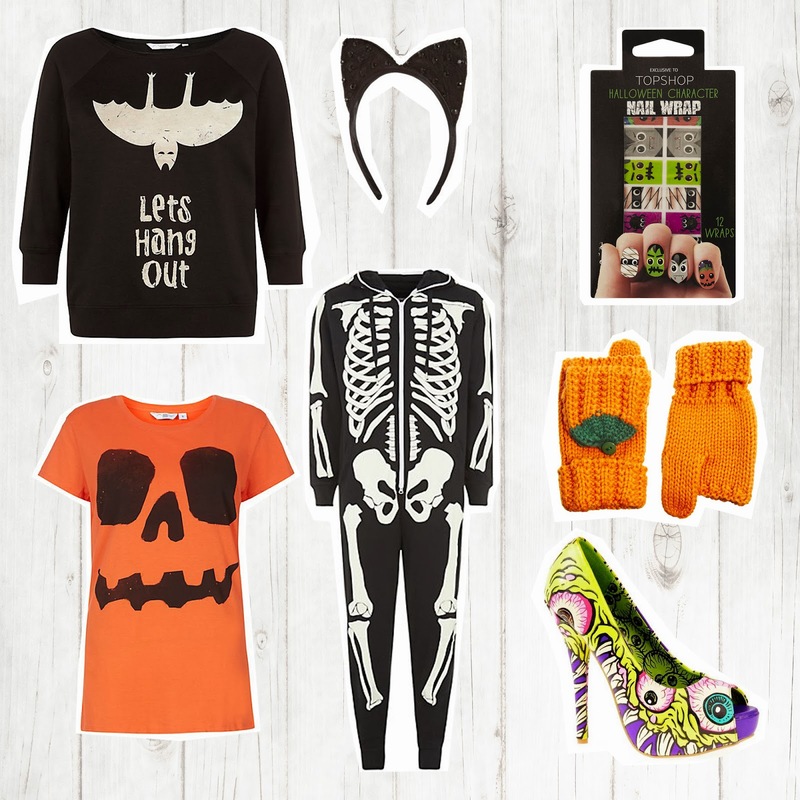 Top Shop Nail Wraps, Asos Pumpkin gloves, Iron Fist Eyeball shoes. Some years I go all out for Halloween and some years, like this year, I just want to be a bit more low maintenance. There are some great options from our favourite fashion brands around at the moment to make it look like you have made an effort, without going the whole hog. I Love the Nail wraps from Topshop and the Pumpkin t-shirt from New Look, how easy would that be to DIY? But for £7.99 its a bargain anyway! Do you have any plans for Halloween, are you going to a party or having a relaxed night in with friends? If your anywhere near me in Maidenhead on Saturday the 26th October, why not join in with the first Zombie Walk! Or check out your local paper/website to see if there are any community projects like this where you are. Hope you all have a great Halloween whatever you are doing.